Raw Materials:Coal fines, coke fines, charcoal powder, carbon black, iron ore fines, mineral powder, metal dust, cast iron dust, mill scale, manganese ore fines, fluorite powder, gypsum powder, ferrosilicon powder, and phospho gypsum powder, nickel alloy, blast furnace ash, etc. 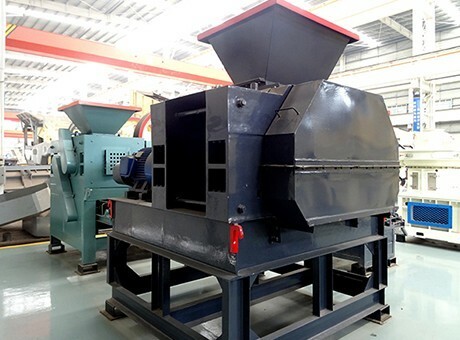 Briquetting plant is usually composed of feeder, crusher, biaxial horizontal mixer, briquette machine, vertical dryer, belt conveyor, central electronic control equipment, etc. 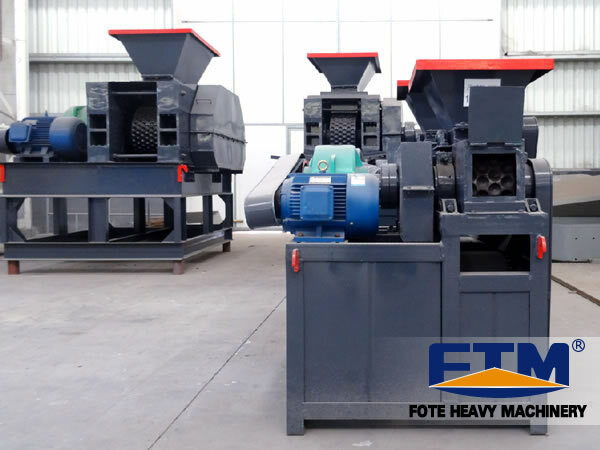 Different types of briquetting machines can be configured according to different usages and materials, and the configuration of the briquetting plant can be configured flexibly according to the actual situations of customers. Fote briquetting plant is classified into coal briquetting plant, charcoal briquetting plant, fluorite powder brquetting plant, mineral powder briquetting plant, etc. Customers can choose the most suitable one according to actual demand. Complete briquette production line is mainly used for pressing coal, charcoal, coke, mineral powder, etc. The final briquettes can be transformed into different shapes like oval shape, pillow shape, egg shape, etc. It's usually used to press coal or charcoal dust, also named coal briquetting plant. 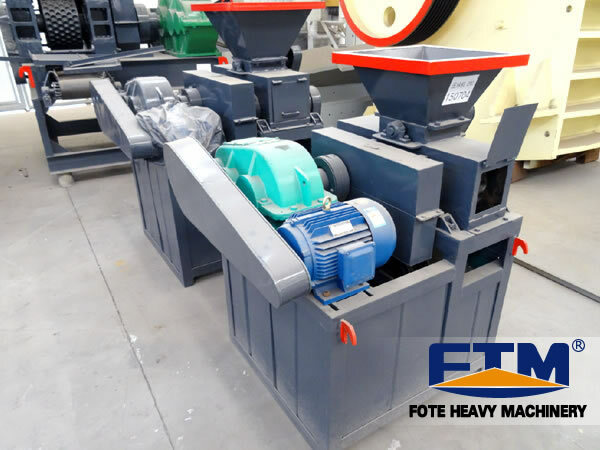 Fote can customize the complete briquette production line according to customer's raw materials, production capacity, etc. Coal briquetting machine is mainly used in processing coal powder into balls. The materials can be directly put into the furnace for smelting, so as to increase the added value. Dry powder briquetting machine is mainly used for pressing materials without water into bricks, such as lime powder, magnesium oxide powder, copper powder, chromium powder, zinc scrap, bauxite, non-ferrous metal powder, refractory material, ceramic material and so on. The powder material will be made into high capacity ball eggs through high pressure. Mineral powder briquette machine is mainly used for ball making of non-ferrous and ferrous metal mineral powder, and the materials can be directly put into the furnace for smelting, so as to increase the added value. For example, dust, sludge, oxide skin, slag, iron powder, aluminum ash, silicon manganese ore, etc. Desulfurization gypsum briquette machine can press desulfurization gypsum powder into balls at one time, which has high yield and high ball forming rate. The equipment can press desulfurized gypsum powder into balls at one time without adding any adhesive, and the briquetting rate is above 90%. The finished balls have strong hardness, which is not easy to be broken during transportation, and the finished product is used as cement retarder in cement plant to take place of natural gypsum. Strong pressure briquetting machine is mainly used for the cold pressing pellet of refractory material, coal powder, coal slime, middling coal, coke powder, coke coal and metallurgical powder materials. 1. Feeding Machine: it is used to ensure the even feeding as well as the quality of finished product. Vertical Crusher: it has broad applications, which plays the role of raw material crushing, the follow-up mixing and molding work in the production line.